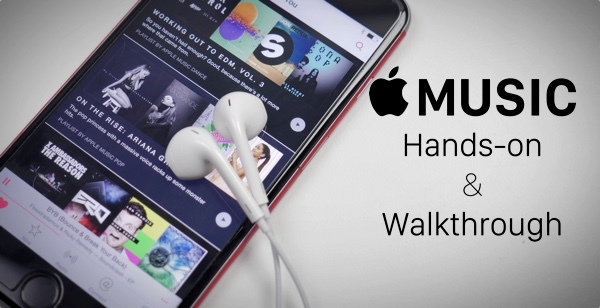 Apple recently released iOS 8.4, which brings with it its new music streaming service called Apple Music and a 24/7 radio station called Beats 1. We’ve been using both since launch. 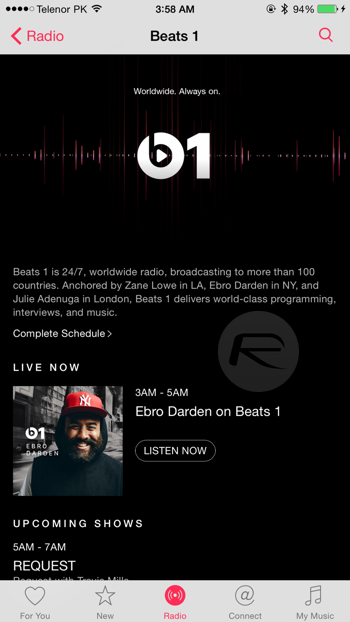 Here’s our hands-on experience and walkthrough of Apple Music and Beats 1 on iOS. Apple Music streaming service lives inside the brand new Music app in iOS 8.4, and brings with it a new interface and a new layout for tabs at the bottom of the screen. You have 5 tabs which includes For You, New, Radio, Connect, and My Music. In the ‘For You’ tab you will find a variety of playlists, artists, and albums that are created according to your music taste. When you first subscribe to Apple Music, the service asks you for your favorite genre type and artists. This curation is based on that. Also overtime, Apple Music learns from what you like to listen most and accordingly changes the suggested music based on that. It’s great for discovering new music and artists. Next, we have the ‘New’ tab which will show you the latest songs including recent albums, hot tracks, recent releases, top songs, hot albums, new artists, playlists, and more from Apple Music’s 30+ million library. The ‘Connect’ tab is basically a social network for artists to share latest news, songs, behind the scene photos and videos with fans who are following them (Yes, you can choose to follow your favorite artists and receive updates from them!). You as a user can leave comments or like posts of your favorite artists. ‘Radio’ tab on the other hand, is quite self-explainatory and houses all the radio stations. Featured stations play top hits, handpicked favorites, and more. The 24/7 live Beats 1 is also included in this Radio tab but more details on that later. The last tab is ‘My Music,’ this is the place where you’ll find all of your previously purchased music stored on your device or saved music from Apple Music/iTunes Match. Here you will also have two tabs on top for displaying your music library or your playlists. In the library section, you can categorize your music library by artist, album, songs, music videos, genres, composers, or compilations. Since Apple Music, besides just streaming, also lets you download songs for offline playback, the “Show Music Available Offline” option here will only list music that is stored on your device. 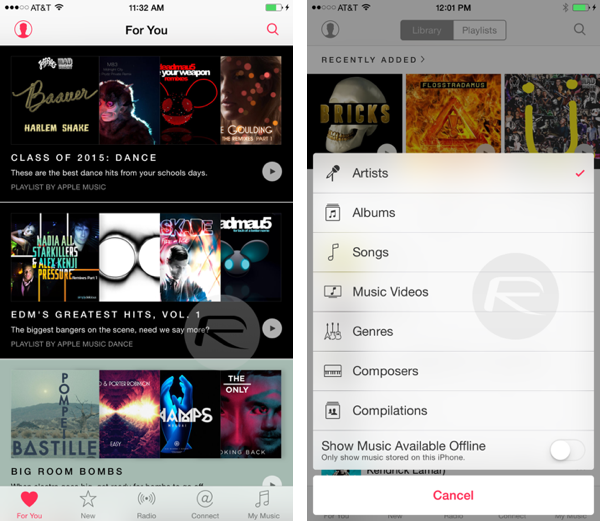 Your playlist tab will display all of your playlist either on your device or from Apple Music. Of course besides all this, you can also just choose to search for music or music videos (yes, Apple Music service does include music videos as well) to stream or download. The user interface is a bit cluttered and confusing at times, but nonetheless, the capabilities of the app overall are pretty awesome, especially when using Siri. With Apple Music and Siri, you are able to say different commands to play your favorite playlists, artists, albums, genres, play similar songs like the one you are currently listening to, queue a song, and even add albums all with a simple voice command. You can say things like, “Play the top songs from 2007”, “Play more songs like this”, “After this song, play Jungle Bae by Skrillex and Diplo”, or “Add the new Flosstradamus album to my library”. 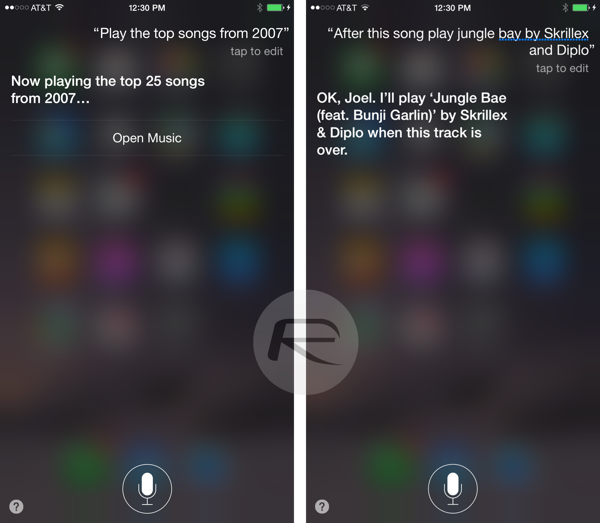 The Siri feature works system-wide which means you don’t have to be in the Music app to use it, you can use it from any where in iOS. Beats 1 is a 24/7 worldwide live radio station hosted by DJs and top music curators. It streams different radio shows throughout the day from London, New York and Los Angeles to over 100 countries. You are also able to see the list of upcoming shows on Beats 1 so you can always stay up to date with what is upcoming. You can access Beats 1 by going into the ‘Radio’ tab in the Music app. It’s free and doesn’t require Apple Music subscription to work. For pricing structure and details on which platforms and countries Apple Music is available on, check out our post here. If you haven’t given Apple Music a shot on your iPhone, iPad or iPod touch, then you can do so now by downloading the iOS 8.4 update from here: Download iOS 8.4 Final IPSW Links For iPhone And iPad. To switch the Connect tab with a Playlist tab, go to Settings>General>Restrictions and turn off Apple Connect. As far as Apple Music goes, I wish there was an easier way to make sure all your songs were downloaded and to differentiate your new songs from your old ones. For example- every time you add a song to a playlist, it gets downloaded until it is removed from that playlist. I have a quick question. When do you think they will implement my beats playlist over? I know they said either wait 24 hours, or use the beats import website, but I signed up using Facebook and I can’t access my account. Question: Will all your downloaded songs and videos still playable after the 3mos trial period? Or you need to renew subscription? attiphoneunlocking. (com), it’s among the oldest unlocking site for AT&T. Here’s what you need to care for:I got an iphone 6 for my birthday, 2 days after i was trying to unｌｏck it for free. I was using some unprofessional unｌｏcking site was bricked my girlfriend’s phone. the phone got barred after 2 weeks My son used ATTIPHONEUNｌｏCKING. [cｏm] 10 month ago, and his iphone is still fine and unｌｏcked. be carefull who you choose and make sure a professional unｌｏck geek. Go try just google atttiphooneuunlockingif you intend to ՍΝᏞΟᏟΚing AT&T l0cked devices, we can ՍΝᏞΟᏟΚing all model and firmware up to date, even the newest 6S and 6C.